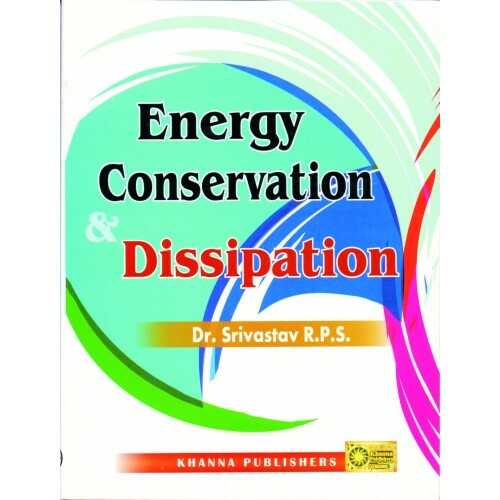 Preface A lot of emphasis is placed on teaching and research of heat transfer and energy. Most of the researcher has worked separately on heat transfer and energy dissipation, but if one gives a close look to both it will be found that both of them are integral part of each other. The author has offered both the subjects for many years at graduate and postgraduate level. This monograph is essentially based on the lectures delivered on the subjects. While delivering the lectures it was found necessary to prepare the class note which could be easily revised , added, subtracted as many times as needed. This process (revision) continues till a full proof monograph is obtained. The process was established by continuous interaction with students and researchers. Thus, the subject matter were thoroughly tested in the classrooms and were found quite suitable for standard of present era of students. The material presents an amalgam of numerous ideas, influences of various eminent professors in the field and top workers of industrial fields. Acknowledgment is due and made to all the authors participant and researchers whose works have been freely consulted and and used in the preparation of the boo most of them are duly recorded in the bibliography. The author strongly feels that this treatise of fundamentals of " Energy Conservation and Dissipation" will contribute maximum to gain for a standard students/readers. This author would be extremely thankful to the readers for their constructive suggestions and healthy criticism with a view to enhance the use of the book. He would greatly acknowledge if some misprints and errors discovered and brought to the notice of the undesigned. Finally the author wishes to place on record the sincere thanks to his near and dear who willingly endured some hardship which resulted due to preoccupation in the compilation of the book.